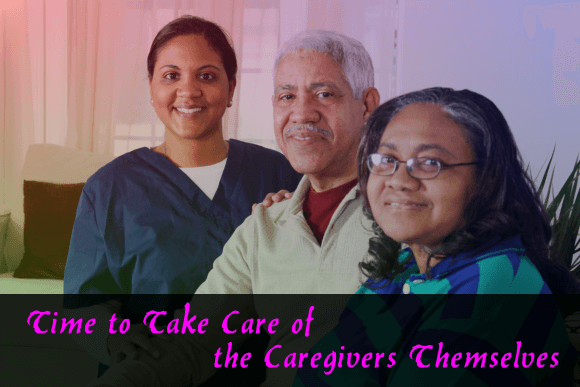 Who said caregivers don’t need caregiving? This question may have stemmed from the presumption that being the givers of care themselves, they don’t need it? The reverse is quite true. Caregivers need more of the care and support than many of us do. Caregiving stands as one of the most stressful jobs there are. This is primarily because, unlike many other jobs, caregiving involves the whole being of the person when dispensing care to his or her ward. Taking care of an elderly, sick, injured or developmentally disabled entails physical, mental, emotional and psychological efforts. Caregivers are humans, too, so it is normal for them to feel angry, depressed, tired, unhappy and alone. Yes, there is such a thing as caregiver stress. It is the emotional and physical stress brought about by the act of caregiving. Our firm OptimumCare Home Care Services, the all-encompassing non-medical home care in Opitz Boulevard Woodbridge VA, not only takes care of our patients. We do look after the caregivers of the patients, too. We know too well what they go through. Our Family Respite Care is intended for that very purpose. Through this service, we offer current caregivers the chance to step back, spend time with family, take that much needed vacation, or to simply rejuvenate. It’s important to take a break from caregiving once in a while in order to continue providing the best in mental, emotional and physical support of a loved one. To all caregivers out there, we know that your job is an extremely stressful endeavor. Sometimes, you just need to step away from the situation and take a break. Don’t feel guilty about that! At such times, we’ll step in so that you can take that much needed break to recharge your batteries and rejuvenate your spirit. Doing so enables you to become a better caregiver for your loved one. Short-term respite care is a temporary option for those who need to focus on themselves or their families, not only to reduce the risk of injury and depression, but also to enjoy time with family or to take that well-deserved vacation. Give yourself a break. We’ll step in and take care of your loved one so that you can take care of yourself. It’s our company’s way of saying you are not in this alone. We are always with you when you need us. We are active on Facebook, Twitter and LinkedIn. If you are a fan of the social media, you can always interact with us using these facilities. Have you had any experience taking care of a loved one? What is it like? Please feel free to use the space below for your views. This entry was posted in Non-medical home care and tagged caregiver, Non-medical home care. Bookmark the permalink.